Pristine Home is a leading provider of professional home and office cleaning services in Hurstville. We have more than a decade of experience in residential and commercial cleaning, which makes us the top choice for Hurstville residents needing a one-off clean, and a weekly or monthly home cleaning service. For homeowners who are in a hurry to have their home cleaned, we can arrange for our trusted cleaners to come to your home the following day. A Pristine Home domestic home clean will allow you to spend your free time relaxing and doing things you love. Instead of getting up early during the weekends to tackle cleaning chores, let our professional cleaners take care of vacuuming and dusting different areas in your home including bathrooms and kitchen. If you are vacating your current premises, one of the things you have to do is to clean the property and leave it looking as close to its original condition as possible. 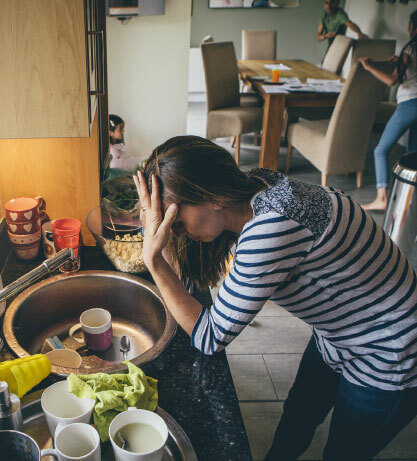 Most renters who are vacating a property experience stress due to the seemingly countless things that need to be done. If you want to get your bond back, the best step to take is to hire our vacate cleaners who will make sure that all surfaces are wiped clean, bathroom tiles are scrubbed, and living areas are free from dust and cobwebs. We specialize in end of tenancy cleaning in Hurstville area to help renters move out with ease. Dealing with agent’s cleaning requirements can be stressful, as the chores are physically demanding. To ensure that you turn over the property in good condition, schedule an end of tenancy cleaning appointment with us to make sure you will get your bond back. Pristine Home provides apartment cleaning services around Hurstville. With a team of professional apartment cleaners, we pay special attention to the kitchen and bathroom areas – the two areas of the house that accumulate dirt and grime easily. We also provide a detailed cleaning of living areas if required by the customer. At the start of spring, many of us want to get rid of the soot that accumulated on the fireplace, to wash window curtains, and to touch paint in an effort to get the house in order for warmer months. To help you with this chore, we provide an extensive spring cleaning service that covers living rooms, bedrooms, bathrooms, and kitchens. Cleaning the bathroom is essential, but the task itself can get pretty messy. Luckily, our bathroom cleaning service will get the job done for you. We will leave your bathroom germ-free and smelling fresh through our full bathroom workup that includes polishing vanities, sanitizing toilets, and cleaning bathroom floors, just to name a few. Performing a thorough clean of a property before you move out can be beneficial to you and your landlord. But a move out and move in cleaning is rarely easy. Our move out/ move in cleaning service is reliable, and will help you cover the standard move in/move out cleaning checklist. We are able to clean bedrooms, kitchen, bathrooms, and even the garage. Pristine Home strives to deliver high-quality cleaning services every time. Your satisfaction is our priority, so if you find that our services do not meet your expectation, just let us know and we will fix any issues free of charge. That’s our guarantee to all our Hurstville clients. Your free time should be spent the way you like it. Not on the kitchen removing grime, nor at the bathroom cleaning the showers. Leave the dirty work to our team of reliable home cleaners and get your leisure time back. If you are in a hurry to get your home organized, just book your chosen cleaning service online, and we’ll arrange for our cleaning staff to visit your home the following day. Take control of your time and let Pristine Home take care of your cleaning requirements. 10 Yeas Experience: We’ve been operating in Hurstville and the surrounding suburbs for 10 years now! While we ensure that we offer high-quality cleaning, we set competitive prices for all our cleaning services. This is to ensure that you get the most value for your money. Need a thorough home cleaning? You can book a home or office cleaning service through our website in less than 60 seconds. Simply book a cleaner online, and review the instant quote that will displayed for your chosen service, and we will organize the rest. 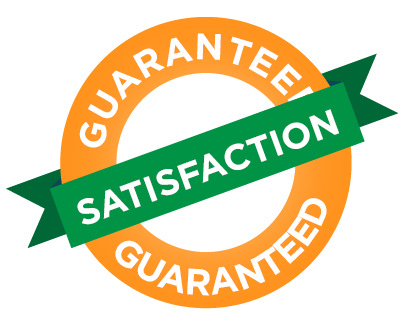 Our customers express their satisfaction with our services all the time, and we continue to get great reviews for the reliability of our cleaning staff.